Sandra Thielman of the Beecher Mausoleum Guardian Angel Restoration and her friend Ron Bunday, a professional painter, gave the historical landmark a much-needed cleaning this weekend. 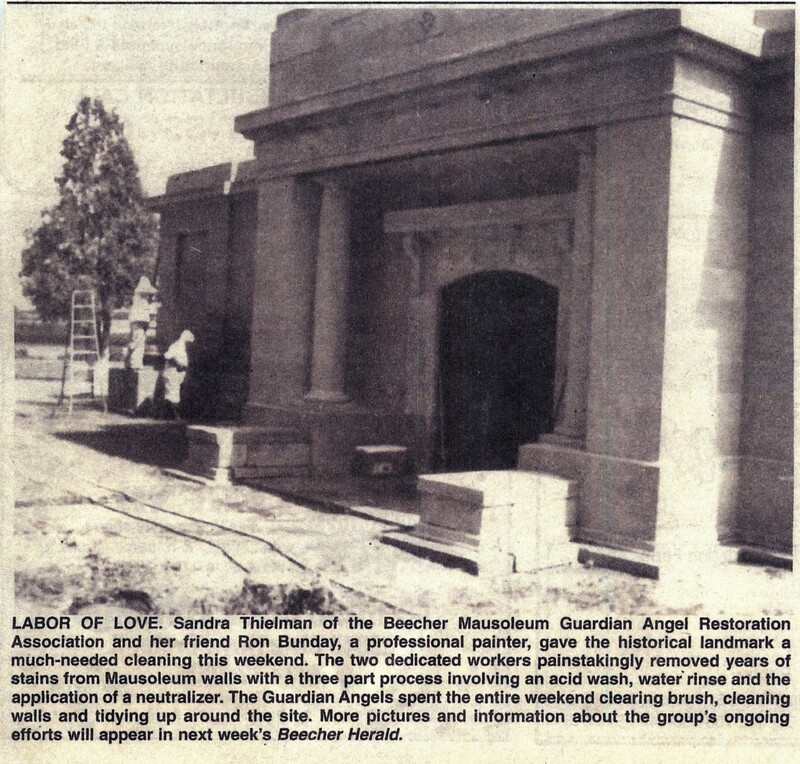 The two dedicated workers painstakingly removed years of stains from Mausoleum walls with a three part process involving an acid wash, water rinse and the application of a neutralizer. The Guardian Angels spent the entire weekend clearing brush, cleaning walls and tidying up around the site. 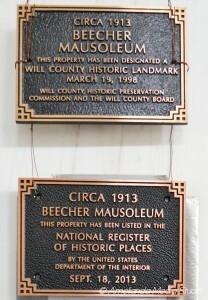 More pictures and information about the group’s ongoing efforts will appear in next week’s Beecher Herald.